Looks yummy !!! Great colorfull shot ! beautiful rainbow colours, and edible as well, awesome. Great idea for the rainbow object of this challenge. I would never have thought of that! oh my lord you challenge junkie! I can't bring myself to do the opposites challenge cause I keep finding other shots I want to take, especially for memories of kiddiewinkles....so I will have live the challenges through you my dear! I like this one of dinner. YUM! So fresh and crisp. Great rainbow find! LOL - beautiful and delicious, it doesn't get any better than that! I've been trying to 'eat the rainbow' myself. 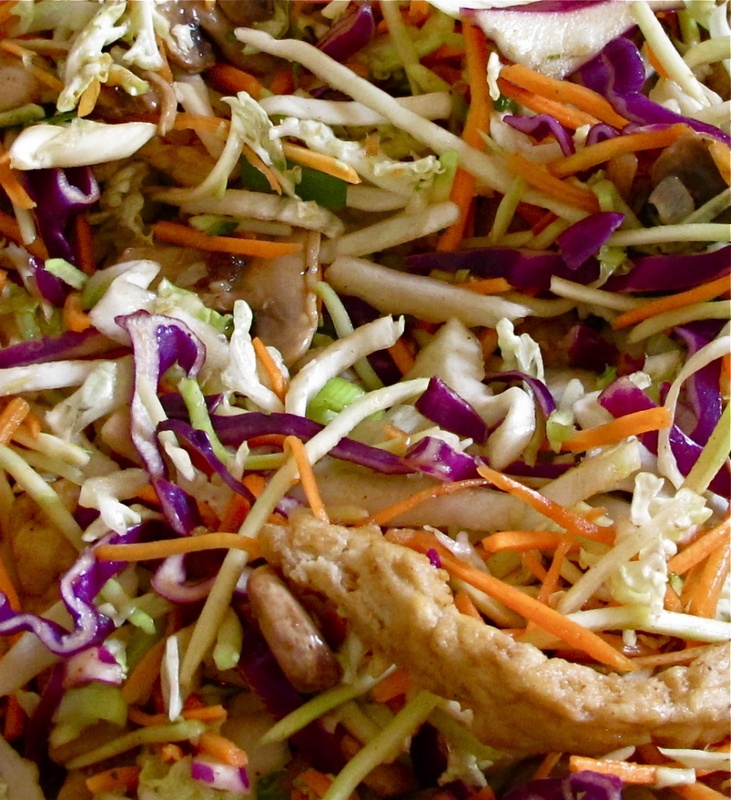 Love the texture of the slaw, too. Nice! Looks delicious. A very colorful and detailed shot. nice colors, i like this shot, interesting! Yum!!!! I like the colors in this photo!! It looks good. You must be a great cook. It is very colorful and healthy looking food. Nice idea for a rainbow. Very cool. Yummy looking, too. looks very tasty and healthy as well! Yummy rainbow! I want some! love all the colors and textures! You're right certainly a lot of colors and yummy texture too. Mm, I love purple cabbage--nice one! Neat shot! Now I am hungry again. Love the colours in your food Alia, I love bb with jam. Great shot--texture, colours and ...supper----all in one!!! Multi-tasking at it's best!! Oooo looks like a very tasty rainbow! looks very tasty and colourful, nice rainbow. I am so hungry now! This looks amazing! Looks colorful and tasty! Nice shot!